Have you been searching for Family Portraits Perdido Key? We are so happy you found our site. 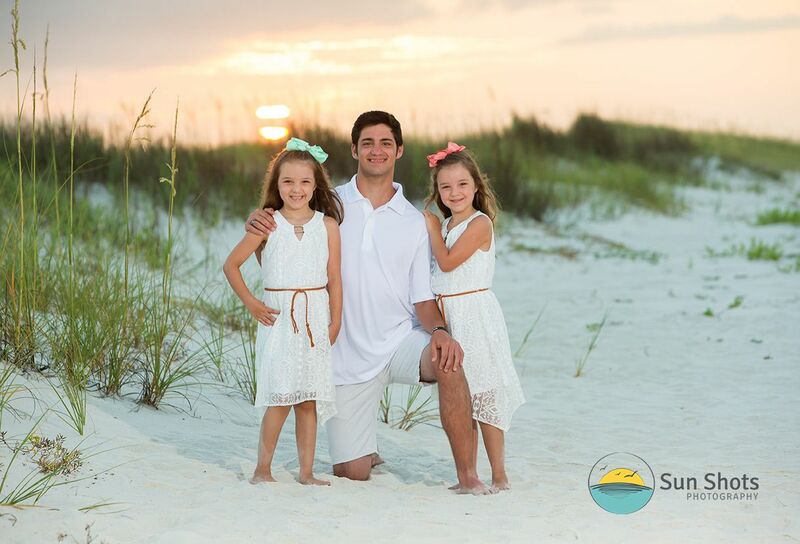 Perdido Key is a perfect backdrop for sunset family pictures, and we love sharing our art with families on vacation! As you can see from our site, we take the art of capturing your family photography very seriously. For the past twenty years, we have been developing our craft to what it is today. We spare no expense and leave no detail untouched. From professional poses to making sure every hair is in place, our two-person team will make every momma smile with joy once the final art is hung on your walls. Last night's sunset session was no exception. We had a perfect evening and the weather was just right. Now that school is out, the sun is starting to set later in the afternoon, and the sea breeze just makes the summer heat melt away. We had the opportunity to spend an hour yesterday with two of the cutest twins ever, and their great big brother. With sandy toes and happy smiles, these children made it easy for us to create something special that will make their moms heart go pitter patter for absolute sure. "Thanks Guys", for finding us and booking your own beach session. It was an absolute pleasure working on the beach with the whole group. When you plan your trip to Perdido Key this summer, don't forget to make us a part of the todo list. Spots are extremely limited but we do have a few slots left. Please reach out to us via phone and we can go over all the details and save your own special afternoon sunset date. You can reach us anytime but if you get a voicemail, it is almost guaranteed we are on the beach, so please leave a message and we will get back to you asap.